Weight Loss Goals – What is the pancreas and why does it have such a say in what type diet we choose? In this video series, Dr.Rob explains low carb diets and if they may be right for you. Please subscribe and share! 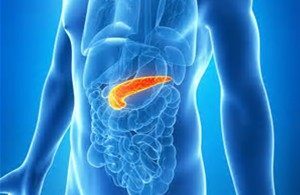 The pancreas is a roughly 6 inch long organ that sits behind the stomach. Functioning as a exocrine gland, the pancreas excretes enzymes that break down proteins, carbohydrates, lipids, and nucleic acid in foods. If you or someone you love is dealing with a chronic symptom that Dr. Rob discusses here, click on the below link now! Free Consultations with our Certified Nutritional Counselor! Fill out our Free Online Weight Loss & Health Evaluation, call 770-304-1500 up until midnight. Scroll to the bottom of the page and fill out the contact form and one of my amazing staff will help you ASAP!